Even since Lashkar-e-Taiba (LeT) militant Majid Khan returned home following an appeal by his mother, three more mothers have urged their sons to return through video messages. In addition to them, three families have issued similar appeals to their militant wards. And all this is being done on Facebook and Whatsapp. And therein lies the irony. 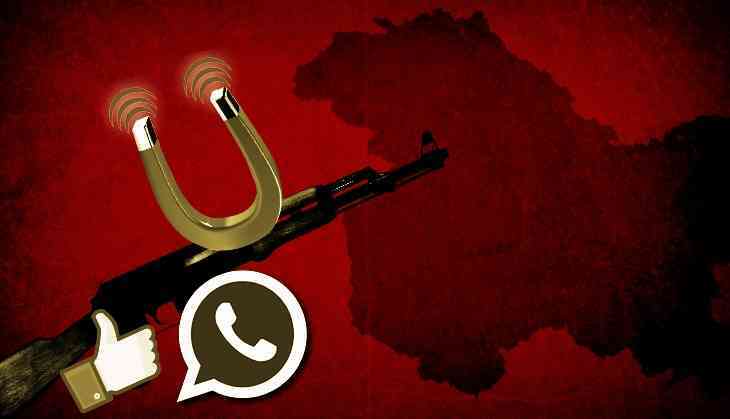 The same social media which militant groups used to glamourise militancy and draw local youth into their ranks is now being deployed by the families and the state to bring them back – albeit with little success so far. Soon after Majid’s return, the mother of Irfan Ahmad Rather, a resident of Shariafabad in south Kashmir, asked her son to return in a viral video on Facebook and Whatsapp. “My Irfan, please have mercy on me. Please return for god’s sake. You know I will die without you. Remember that I suckled you. Remember how I have suffered all my life. Please return for me,” the wailing mother says with folded hands. Similarly, another mother from Chogal Kupwara has sent out an appeal to her son Sajjad Ahmad Shah, 26, to quit militancy. “I say that I want my son to return. My Sajjad Ahmad Shah Sahib. He has a small child. He has been married recently. He has not been married even for one year. What will this child do? What will his wife do? We want him to come back. His father is paralytic. He can’t take care of the family,” the sobbing mother Sara says in the video. Similarly, appeals have gone to the militants Malik Asif of Qazigund, Nasir Ahmad Mir of Sopore, Aaquib Iqbal Malik of, Kulgam and Ashiq Hussain of Shopian. Ashiq has also been married only for one year. A video appeal for him to return has gone from his mother, father, and the wife. But Ashiq has turned down the request of his family saying he has chosen “the best course” for himself. So far, only one more militant has returned home since Majid quit militancy. That militant is from South Kashmir but the police has held up the details for his “security and safety”. However, the growing chorus of appeals by the families of militants on social media has become a source of concern for the militant organisations. In a statement emailed to a local news agency, Lashkar-e-Taiba has made it clear that not one more militant “will ever return to his home”. “Our mothers are neither afraid of Indian threats nor will they call upon their sons to return to their homes, compromising their freedom. They are the mothers who consider their martyrs as grooms. From now on, no freedom fighter will ever return to his home. It is the Indian forces who would have to quit otherwise. They must vacate Kashmir,” Shah said. On the other hand, Hizbul Mujahideen chief Syed Salahuddin has said that India was creating Ikhwan-type (counter-insurgency) organisations in Kashmir. He has also called upon the Kashmiri youth to join only recognised militant outfits, indicating that the Al Qaeda and ISIS outfits were not bonafide organisations. “Our movement is indigenous and has no international agenda,” Salahuddin said. But the videos of the distraught mothers continue to be viewed online, multiplying their impact and also helping shape a popular sentiment against militancy – albeit still very moderately. These videos have for the first time spotlighted the pathetic condition in which the families of the most of the militants live, humanising their story. For instance, Sajad Ahmad Shah has a wife with a two-month-old baby, a paralytic father besides a mother and two unmarried sisters at home. And there is no reliable source of income. Such stories are making an impact. From the comments of the online viewers of these videos, it is obvious that a large majority of the people empathise with their plight. At the same time, it has created an existential quandary for the militant organisations and also triggered some online debate about the trend of the mothers calling their sons back from jihad. After claiming to have let Majid go back following his mother’s appeal, LeT has said that other militants won’t follow suit, a position now bolstered by Ashiq’s refusal to heed his mother and wife’s call. But this is unlikely to be the end of the story. The miserable plight of some families is making some people question the outfit’s blanket policy. True, people have also opposed the trend given its detrimental implications for militancy, but not without being defensive about it. “In my opinion, it (Majid’s return home) has only served the narrative of the state. Yes, the occupational narrative. It has reinforced the propaganda that youth are being lured & brainwashed & 'counselling' can change the trend. Now don't try to defend him (Majid) by saying that he has listened to the 'appeal' & made a right decision,” wrote a person on Facebook”. “If it is 'just' emotions which make u to take an action & the emotions 'alone' later motivating u to undo the same, I spit on such emotions. I'm not being judgemental here, I'm dissecting the facts. If one is not strong enough to stand up for a cause against all odds, he has no right to flirt with the idea of supporting that cause for a day & later succumb to the pressure he once went against. Resistance is the job of iron-willed men. Better r those who reject the idea of armed struggle (sic),” the post added. However, the biggest takeaway from these appeals and comments is that all this is happening on social media, hitherto an alleged site for militant recruitment. Is the same social media becoming a tool to woo militants back to their families? It is. But whether it is an effective tool to do so will be known in the days to come. Amnesty to Kashmir youth on interlocutor’s urging: will it help his image? READ NEXT >> Amnesty to Kashmir youth on interlocutor’s urging: will it help his image?